This book, “Wasn’t That A Time, The Weavers, The Blacklist, and the Battle For The Soul Of America” is stupendous and well worth your time. It’s so ***** 5 star, it’s very a soul-satisfying read!! 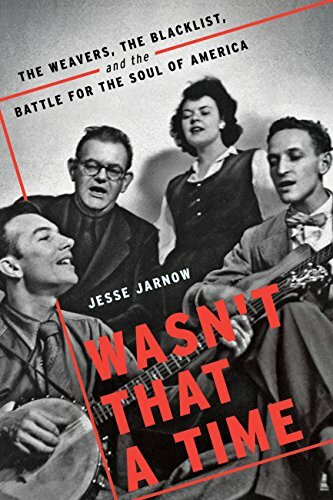 This “music” book is a gr8 biography of band that reads like a novel about an American era that is defined by a social movements, I wish I was as eloquent as our author in explaining how good a read this book is. I’m so glad someone was able to encapsulate an era of social upheaval and the music it spawned. Jesse did a gr8 job! The book is well researched, while it’s as entertaining as a novel. I have to admire Jesse Jarnow”s recognition of wisdom in the band members. He helped me understand the bands’ dynamics, while appreciating each band member individually. That alone is quite an accomplishment. If you get to read a book this year let it be this one.